These are all places and buildings that we care about. The people who love them introduced us to them. Most have been clients of Jericho Road or have sought our support in some other way. These are snapshots of the stories that are ever evolving. A small group of relentlessly committed volunteers have been working for years to bring together and curate Hastings Pier Community Archive. 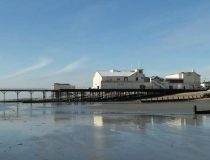 Since the pier was sold to a private owner, the archive has been placed in the guardianship of Hastings Museum who have no capacity to share it with the public. 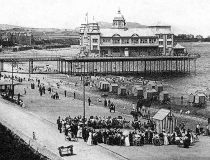 The archive group’s mission is to ensure that residents and visitors can access our beautiful pier’s heritage through the archive once again. 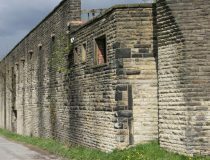 Jericho Road is supporting the volunteers to apply for HLF funding, incorporate as a charity and grow their capacity to manage the archive into the future. 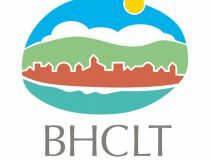 Jericho Road is supporting the community land trust in Brighton and Hove with their financial (investment and sustainability) strategy, and at the same building a friendship with our own CLT Heart of Hastings! The allied organisations are now visiting each other to for knowledge and skills shares that strengthen their work in their respective towns and present opportunities to collaborate on shared priorities. These farm buildings are the last remaining heritage buildings in the Barnet area due to heavy bombing in WWII. Bound for demolition as part of the largest redevelopment project in Europe, Clitterhouse Farm was saved by locals who all live within 5 minutes walk of the farm and who have been the only successful group to object to the planning proposals. They feel this gives them great responsibility to use the site well for the community. Jericho Road Solutions guided CFP through incorporation, and is helping with strategic planning, fundraising and negotiating the asset transfer. Working with other local community groups, an experienced board of advisors, Barnet Council and the Brent Cross Cricklewood Developers – the mission is to transform the historic Clitterhouse farm into a vibrant hub for the community and local enterprise. To build social cohesion, create a shared sense of pride in the area and to bring local people together through arts, culture, food growing, the principles of sustainability, skill-sharing, educational workshops and training. 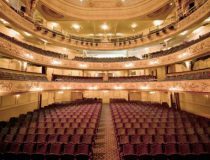 This iconic building, built in 1902 as a purpose-built, high class tea room, served for a long period as a repertory theatre and concert hall/club. Despite remaining empty and neglected for over 8 years, Pavilion is held in much affection by both local residents and past visitors. 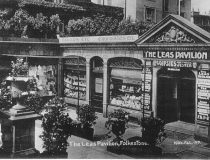 Jericho Road helped locals set up Friends of Leas Pavilion, supporting them with fundraising and organisation structure and linking them with the CADO programme (strength in numbers). 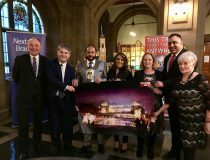 They struggle on to get ownership of and influence over the beautiful pavilion, and we continue to support them in the complex negotiations with the developer and council. Cricket has been played continuously on this site since the early 17th century. The pretty little 1904 pavilion is a victim of local development pressure and delays, making it impossible for the Cricket Club to stabilise their lease or raise funds for improvements. 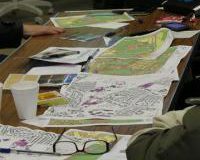 JRS provided coaching to a local heritage group working with the Club to develop new plans and put pressure on Merton Borough Council to consider compulsory purchase. A small group of neighbours with a long-standing concern about the historic mission hall tucked in between a dense set of C19th cottage-style housing, wanted help and advice in tackling a difficult owner and a reticent local authority. JRS provided informal unpaid coaching support over several months in 2016. The owner eventually began refurbishment works. Anfield in North Liverpool is one of two Liverpool case studies in Jess’ PhD study on ‘Self-Renovating Neighbourhoods as an alternative to gentrification or decline’. Homebaked bakery and community land trust show how local people can still ‘self-renovate’ even as their neighbourhoods are being torn down around them. 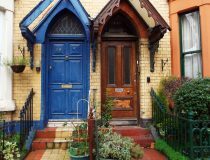 It was in Anfield that Ronnie Hughes tested his idea Coming Home – renovating and renting out otherwise-empty properties for absent landlords. 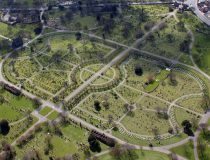 And nearby Anfield Cemetery is one of AHF’s clients as they try to rescue the South Chapel within Kemp’s masterpiece of park planning. 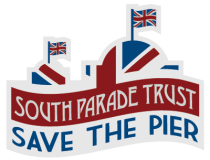 Jericho Road worked with Bognor Pier Trust over a period of 3 years from Jan 2014 to Jan 2017 in an attempt to pre-empt problems through ‘’rescue before ruin’. Bognor Pier is owned by John Ayers, a genial ‘on-shore’ owner vastly preferable to the ownership situations with other piers but facing potentially crippling future repairs and maintenance. We made a lot of progress but in the end John decided to keep the freehold and forego the potential grant. One day I expect the Trust will need to step in again. * FYI only – my Dad’s ‘Uncle William’ (his best mate) lived there and we’d visit his rambling, crumbling beautiful big house full of children, wives and ex-wives, spare relatives, streams of visitors and general passers-by. Buile Hill Park, completed in 1938, is known by locals as one of the prettiest parks for a picnic in Greater Manchester. In its heyday as the city’s most pristine public park it attracted 30,000 people for a flower show. For 17 years the mansion has fallen into emptiness and dereliction, but consortium of Salford community groups are working to bring the Grade 2 listed building into community ownership and repurposing it as a multi-use centre, including a museum showcasing a local rugby league club’s history, function rooms, a cafe, and a second museum in the basement recording the city’s mining past. Salford Red Devils Foundation works with 100s of young people through sports, health and heritage. A set of stables for the canal ‘fly-boats’ that ran to strict timetables to keep freight moving now need repurposing for a different age. 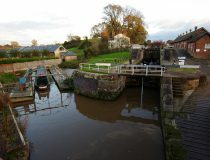 Canals & Rivers Trust are working with the tenant business and local people to consider the options. 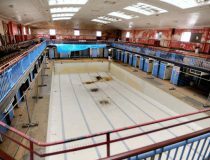 After years of closure, there is new hope on the horizon for Byrne Avenue Baths, the 1930s Grade II listed swimming pool complex in Rock Ferry, Wirral. With Jess’s support through the Architectural Heritage Fund, Byrne Avenue Trust have successfully taken over the lease of this much-loved building following years of complex negotiations and now aims to restore and re-open the building as a thriving community space and sports centre, while preserving the history and heritage of the Baths. The group are taking a phased approach to this extensive restoration process (see their website – it’s exemplary!) and will be opening at least parts of the building as soon as possible so that everybody can begin to enjoy this stunning space. 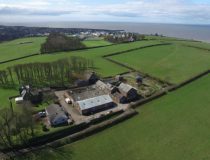 A 19th century 140 acre ‘model farm’ in the middle of a 1st century Roman fort, North of England Civic Trust have been working with local people and schools to develop proposals for a multi-faceted ‘Learning and Care Farm’. A building built with the charitable funds of Scottish-American Philanthropist Andrew Carnegie, designed via a competition with 74 entries from local architects, the Carnegie opened to the public in 1904 and has a long history of mixed uses, from library to lecture theatre to Variety stage to bingo hall. It was lovingly known as ‘The Ranch’ during its past life as a cinema due to the regularity of westerns being shown. This former library and lecture hall has become a successful theatre, arts centre and festival base but needs to redevelop underused spaces in order to secure long term sustainability. 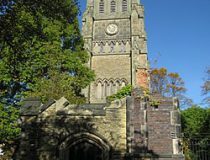 Christ Church in Crewe, Cheshire, with its gothic reviva tower, baptistery and courtyard garden, is one of very few remaining historic buildings in the heart of Crewe town centre and the only ‘green lung’. The Diocese and the Council are working together with Citizens Advice Bureau to consider new potential uses and establish a Friends group as a first step towards a community management trust. The work we do is baited with challenge and Victoria Pier is one of the sadder tales of neighbourhoods we’ve supported. This year the Grade II listed structure was dismantled by contractors and the empty space where it once stood looks an eerie sight on Colwyn Bay. After sections of the pier collapsed during storms in February 2017, the Welsh government gave the go ahead to pull it down. 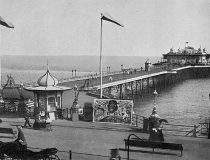 Before this, the poor maintenance of its delicate heritage and a lengthy ownership battle (both depressingly common features of piers across Britain) put the pier at continued risk. 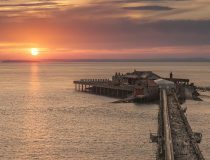 Jericho Road worked with the Colwyn Victoria Pier Trust to rescue and restore the pier, and although it is a tragedy to lose such an amazing building, now the same team are looking to the future to redevelop a shorter pier where the old structure once stood. 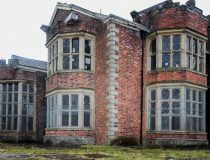 Neighbourhood Services Company and Alt Valley Community Trust have taken a long lease on the collection of historic buildings at Home Farm in Croxteth Park, Liverpool. 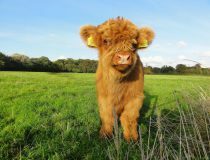 They run it as a working Victorian Farm, alongside the Rare Breeds herds of cattle, an Environmental Education Centre, and many special events serving vulnerable groups in a disadvantaged area. The Flimwell Park development is a proposal for a new woodland centre, based in the heart of Flimwell. 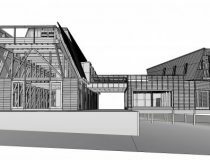 The aim of the project is to create a diverse and sustainable woodland centre that generates opportunities for community involvement and attracts visitors to this beautiful part of South England. The mixed use development will provide a place for living, working, learning, socialising, recreation and the arts. JRS provided some early support to two private developers with a woodland site in Flimwell, East Sussex to consider options for partial community ownership and management. Granby is going through a major physical renovation, achieved through the sustained efforts of local residents after many years of blight, demolition and dereliction. While much of the renewal is through housing association investment, the energy of residents in the neighbourhood is now channelled into Granby4Streets CLT, who have several thriving projects including a popular street market, community gardens and the renovation of 13 affordable homes. 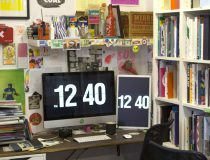 Perhaps most astonishingly, they won the Turner Prize for the unusual design in their houses, a collaboration with Assemble. Jericho Road has been intimately linked with Granby4Streets through much of its evolution and Jess is now using Granby as a case study neighbourhood for her PhD in Self Renovating Neighbourhoods. Sudley House is a Grade II listed, Victorian Merchants House in extensive grounds in Mossley Hill, South Liverpool, renovated with support from AHF. 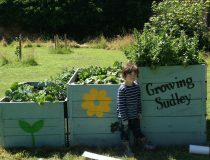 A historic walled garden in the grounds of Sudley House, Liverpool, has been taken on by Growing Sudley CIC as a space for health, wellbeing and social cohesion. Following a successful pilot season, they are now working to take over and repurpose the derelict changing rooms nearby to provide a long term income stream to support the garden and is activities. 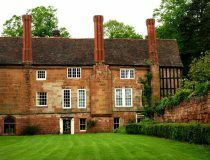 Founded by the Hopwood family in the 12th century, this extraordinary Grade II* building includes significant historic features from the 15th to 18th centuries. 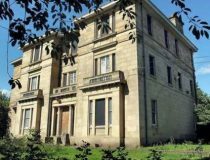 Recently, Hopwood DePree, a descendant of the Hopwood family, moved from California to Rochdale to help spearhead the effort to save the Hall from ruin. With help from AHF he has galvanised volunteers into a dynamic Friends group. Created in 2000, Islington Mill remains a work in progress; an ever-evolving creative space, arts hub and community. Scratch the surface and you’ll find a vibrant and resourceful cross disciplinary creative network; a space where conversations leads to connections, collaboration and co-creation. Public arts programmes, residencies and galleries sit alongside rehearsal space. 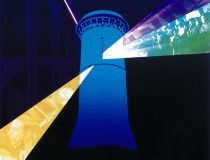 Music and visual arts mix with events and exhibitions. 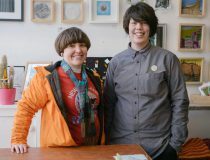 More than 50 businesses and 100 artists call the Mill home. Over the last 15 years they have supported more than 5000 artists from 35 countries. More than 15,000 people visit the building every year. Bought in 2000 by local resident Bill Campbell to secure it for arts uses, the Mill has a great track record as home and incubator for all kinds of artists and musicians. 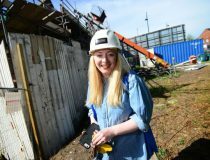 As large-scale demolition continues to destroy historic Salford, well-known cultural entrepreneur Erika Rushton is helping the Islington Mill Arts Club to develop new spaces within and around the Mill. The Leigh Spinners Mill was opened almost a century ago and still houses the operating Leigh Spinners Company. The AHF-funded development project offers residents in surrounding areas an exciting opportunity to develop new community, leisure and employment facilities in the underused spaces within one of Leigh’s finest and largest buildings (the space could house the local Tesco, Asda and Sainsbury’s within its walls with space to spare!). 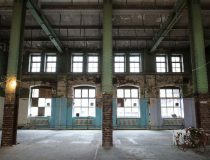 To make the best use of the site, the Leigh Building Preservation Trust will bring together a range of commercial, community, education, sports and heritage uses in a unique package to secure the site’s sustainable future and support the local economy. 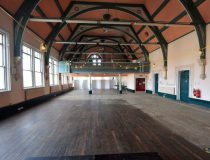 This dilapidated 1892 Victorian railway station is set to be transformed into a ‘family-friendly’ cafe, co-working space and bar the site will also have enough room for live events, developers hope. Funded by AHF and supported by Jess to increase the length of the lease and the likelihood of long term community benefit, the team behind the renovation aim to bring the former Levenshulme South Station back into public use, particularly as it benefits from its unique position directly above the popular Fallowfield Loop, an 8 mile off road cycle path. Parquet flooring, original windows and ceilings will be restored and there are also grand plans to install a huge glass window so diners can overlook the Fallowfield Loop below. London Road Fire Station needs little introduction. A local and national stalwart, it has greeted residents and visitors to Manchester for over a hundred years. In its infancy London Road Fire Station evoked the very best in design principles and architectural philosophy, with the best in the business competing to design it in 1899. It remains unchallenged over a century later and remains an iconic structure in the region. The fire station has important social history connections as a mixed-use municipal building, exceptional for its combination of bank, coroner’s court, fire, ambulance and police stations, gas meter testing station and living quarters for families all in one complex. Harnessing the emotional connection of this family spirit is a crucial part of the London Road Fire Station story. People lived, socialised and created memories here, as Lynne Bairstow, a retired firewoman recalls: “It was my first station. I’ve cried, I’ve laughed, made good friends and met my husband there – I became part of the London Road Family”. Abandoned for nearly 30 years, this gorgeous sandstone block of mixed civic uses just a stone’s throw from Manchester Piccadilly became the focus for a powerful community campaign after the failure of a compulsory purchase process led by Manchester City Council. Eventually the building was purchased by Allied London who aim to create a mixed use scheme which currently has general community support. 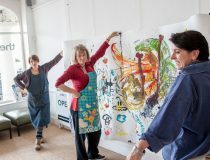 JRS supported a group of micro creative enterprises that were based in a building known as the Old Bakery in St Leonards to develop joint plans and incorporate a shared company. 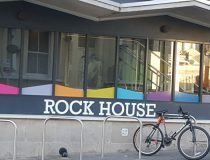 With the lease uncertain, they needed ‘a good landlord’ and were quickly convinced to become one of the first tenants to move into Rock House where they now occupy the first floor, designed with a shared central eating and talking space to remind them of the best bits of their old situation. They are a melting pot of creative and technical disciplines include expertise in design and media (print, web and everything else), photography, website development, animal welfare, youth projects and initiatives, event management, as well as much more besides. The Old Bakers’ motto: “it’s about mixing not stirring”. This textile mill near Rochdale has been in the Clegg family for 7 generations and is still working in a small part of the building. Peter Clegg wants to set up a charity to bring the rest of the building into beneficial use including education and training. This heritage building is in a serious state of disrepair, heavily damaged by water, partly collapsing inside, dirty and neglected. 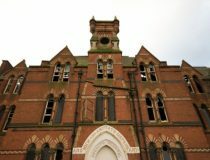 In 2007, the Victorian Society placed it on their list of most at-risk buildings in the whole of the UK and is part of the Community Assets in Difficult Ownership programme (owned by G1 London Properties – goodness knows why…). 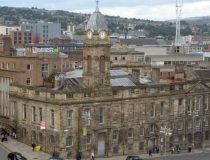 Local people, concerned about the long-empty old town hall and courts, were supported to form a Friends group to encourage the council to take enforcement action on the absent owners. Three years later, Sheffield council are beginning to realise that compulsory purchase is likely to be the only way forwards. Once home to Stretford Civic Theatre, Stretford Public Hall was built for the local community by John Rylands in 1878. 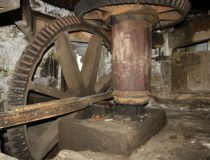 Since then it has had over 100 years of community use until it’s closure in 2012. In 2015 the Hall was placed into the stewardship of The Friends of Stretford Public Hall, whose intention is to turn the hall into a fantastic community venue, unique, multi-purpose space, owned and run by the local community with space to meet the needs and demands of the community in terms of work, culture, learning and leisure, understood through continuous, effected engagement with locals. In recent years the space has been enlivened with eccentric art projects for the Biennial festival, and this year is no exception. Visitors can step inside art installation Aurora, a 40-minute ‘walk on water’ through the cave-like vaults where they are immersed in the sights and sounds of an ice cave, a tropical rainforest and monsoons. State of the art interactive technologies, soundscapes, lasers and ice sculptures captivate the beauty and power of water, an homage to its original use set within the cavernous walls and cloisters of this Victorian landmark building. AHF is proud to be part of such an unusual project. Beki and Jo, tenacious directors of the Exchange CIC in Morecambe are working hard to take ownership of Trinity Methodist Church to expand their work in the neighbourhood – not without hurdles and challenge but they are very determined. Jess has been supporting them with a feasibility study funded by AHF. 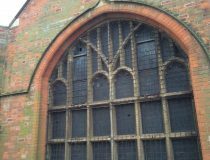 They would like church to be repurposed as a community arts studio and enterprise hub, project space and community café where the community will have the chance to run their own diverse projects and explore their ideas. As Jo said, “it’s all about the energy that people in the community want to bring.” We agree! A brilliant and much-used service currently squashed into temporary buildings so that there are women everywhere trying to get advice, do classes, meet in groups. 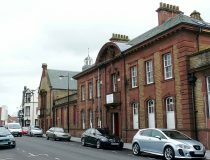 Having moved Venus out of its previous space, the council are offering a potentially perfect historic building, an old School Board Offices. The Venus Centre has a huge impact in the Sefton neighbourhood – works with vulnerable women offer support with housing and benefit entitlement, debt, domestic and sexual violence, mental illness, parenting and access to opportunities. 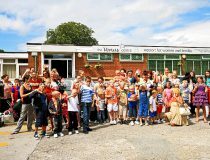 As well as working with an average of 130 individual women or families at a time, they deliver numerous community projects including street parties, the support and facilitation of the Klondyke Residents Association and the provision of annual or biennial residential holidays for disadvantaged families.